After Bombing In Ankara, Turkey Hits Kurdish Targets In Northern Iraq : The Two-Way Turkish warplanes are conducting airstrikes against Kurdish targets in Northern Iraq, following a deadly car bomb that killed at least 37 people in Turkey's capital, Ankara. Family members and friends carry the Turkish flag-draped coffin of Murat Gul, 20, a security agent killed in Sunday's explosion, during his funeral procession in Ankara, Turkey. Turkish warplanes are conducting airstrikes against Kurdish targets in Northern Iraq, following a deadly car bomb that killed at least 37 people in Turkey's capital, Ankara. The Turkish military said "11 warplanes carried out airstrikes on 18 targets in northern Iraq early on Monday, including ammunition depots and shelters," Reuters reported. Meanwhile, mourners held funerals for the victims of Sunday's attack. "Pro-government media quickly pointed to supporters of the Kurdistan Workers Party or PKK, even though past PKK attacks have largely focused on military or police targets. "Besides Kurdish militants, supporters of the Islamic State and extreme left-wing groups have also carried out violent attacks in recent months." Turkey's President Recep Tayyip Erdogan said in a statement that "the attacks against civilians are a sign that Turkey's security forces are winning the war against terrorism," as Peter reported. Erdogan added that he was "certain" of success. The car bomb struck Turkey's central Kizilay Square, near government buildings. It went off when a passenger bus was pulling up to stop, as Peter reported. Reuters says security forces suspect a female member of the PKK as one of two bombers. "Evidence had been obtained that suggested she was born in 1992, was from the eastern city of Kars near the Armenian border, and had joined the militant group in 2013," the wire service reported. It says a security official described the suspected second bomber as a male Turkish citizen with PKK links. 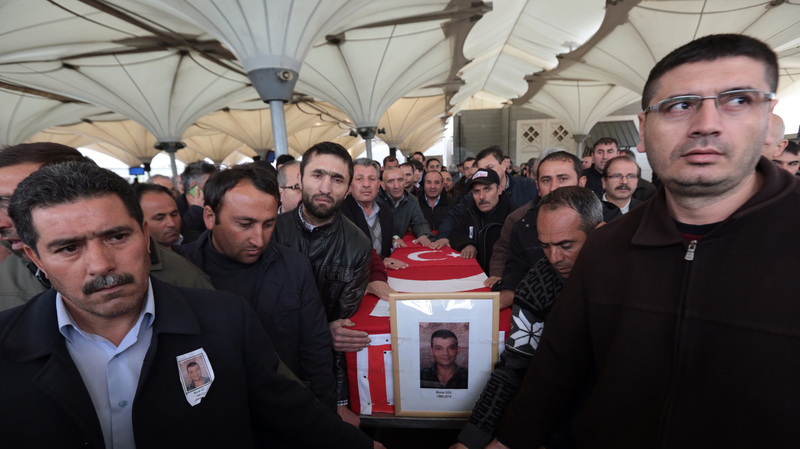 As we reported, another bombing hit Turkey's capital last month, killing at least 29 people. "It's embroiled in a tense dispute with Russia that has sapped its economy, it's been swamped with migrants from Syria and is battling Kurdish militants in the southeast, leaving some Turks to wonder if they can avoid being sucked into the chaos destabilizing the region."